Introducing the Mystic Dutchess Harness 2017 in Purple! Specifically designed for women, the Dutchess is the softer harness than the Diva but still super comfortable and stays in place. 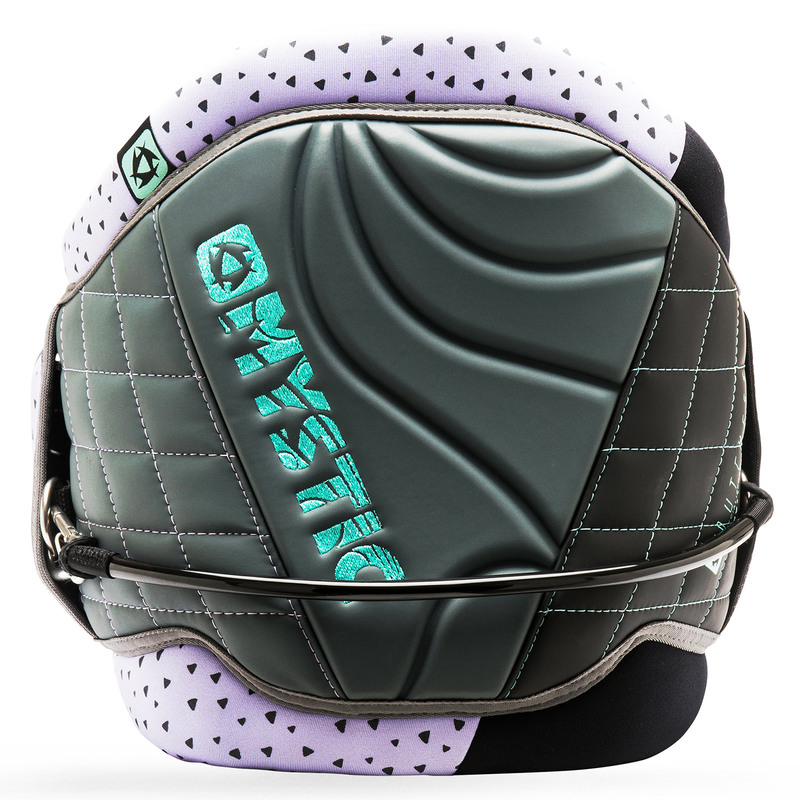 The Dutchess features an female shape anatomical backplate that moulds to the natural curvature of your back with added soft neoprene edges for extra comfort and protection! With an all new design, the Dutches is perfect for those just out of lessons and carving and jumping out on the water! The multi hook banana bar system can be used in both kitesurfing and windsurfing. With Mystic's Banana Bar it is as simple as hooking in, pulling tight and you are ready to ride! 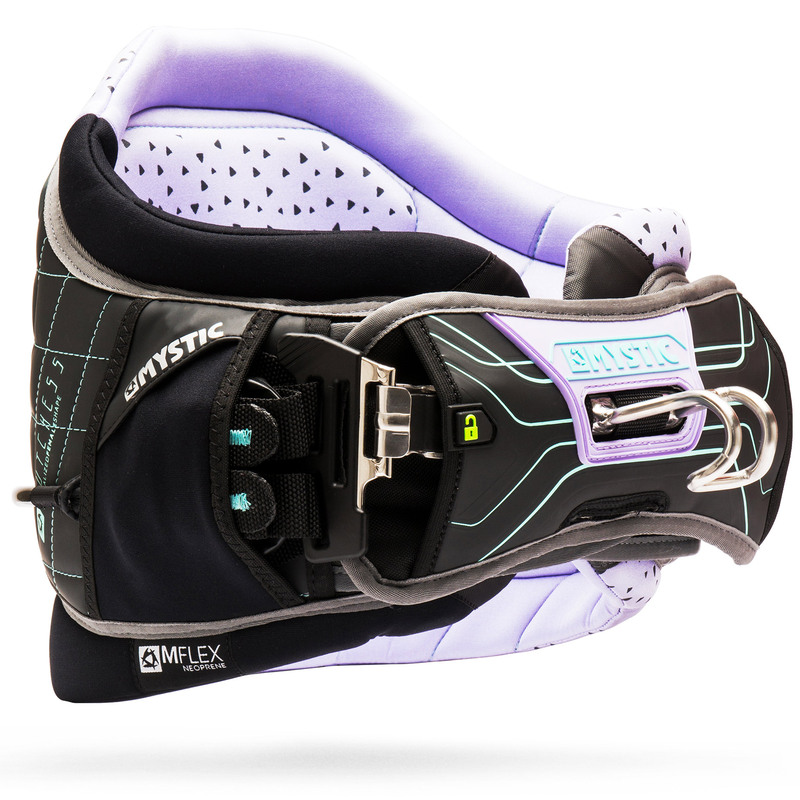 Using the webbing within the four -point system, the harness spreads the load more evenly across the harness, preventing any riding up and giving you a more comfortable ride. The shape is optimised for the female body shape with super soft neoprene prevents any irritation whilst riding on bare skin. It also creates a closer more comfortable fit. There are reinforced stainless steel links to both sides of the harness to attach your leash to. The battle belt waist closure secures the harness around your waist preventing it from twisting and causing discomfort as found with regular harnesses. Using a 4 point fixation Banana bar the Dutchess prevents the harness from riding up and causing any discomfort.